To celebrate Laurence Graff´s 60th anniversary working in the jewellery industry and to mark the success of Graff Diamonds globally, Hair & Jewel has been recreated. Featuring 22 individual jewellery pieces including a number of the world´s rarest and most valuable diamonds, it showcases Graff´s renowed expertise for creating the most fabulous jewels in the world. 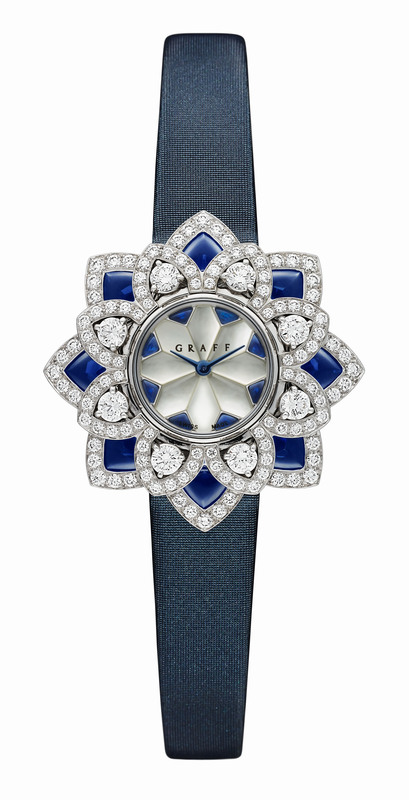 FloralGraff watch features a watch face echoing the shape of a flower, its multiple, layered petals composed of incredible, dazzling diamonds. 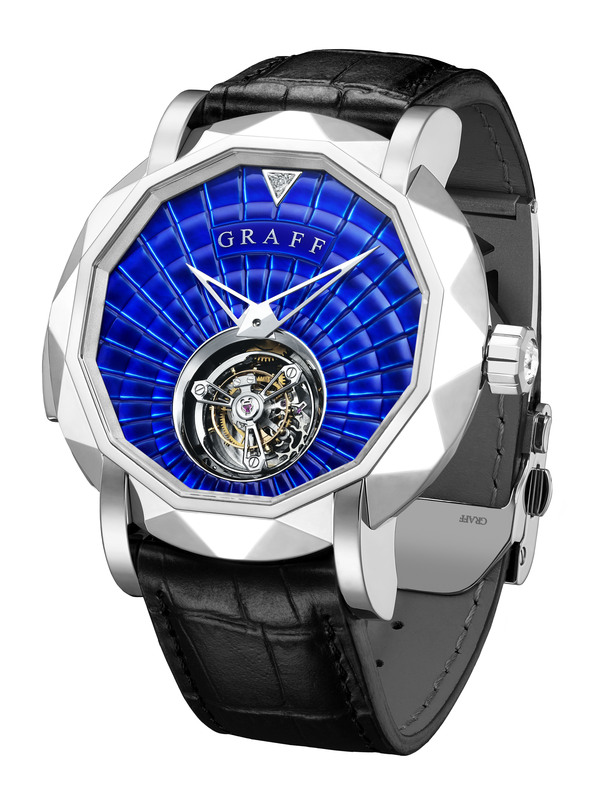 FloralGraff watch is one of the most unique and breathtaking designs available from Graff watches, showcasing the finest design, craftmanship and Swiss watch making skills with the most fabulous jewels in the world. MasterGraff Minute Repeater features a flying tourbillon encircled by a small seconds discs, combines horological brilliance with true beauty. The dial is hand made from pure mother of pearl, carved with radial motif that shimmers elegantly in the light. 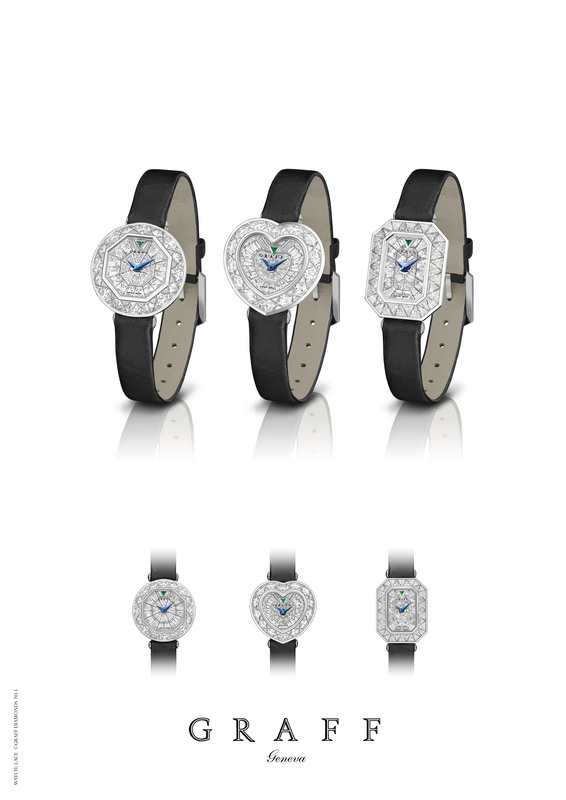 BabyGraff Trilogy has been inspired by three classic diamond cuts: emerald, heart and brilliant. Each of the versions emphasizes the simplicity and innovative design. ← What kind of IR story you have?